Materials innovation institute (M2i) is a network organization specialized in materials research. Our core mission is to support both the industry and society in finding solutions for materials-related questions in product development and production processes. 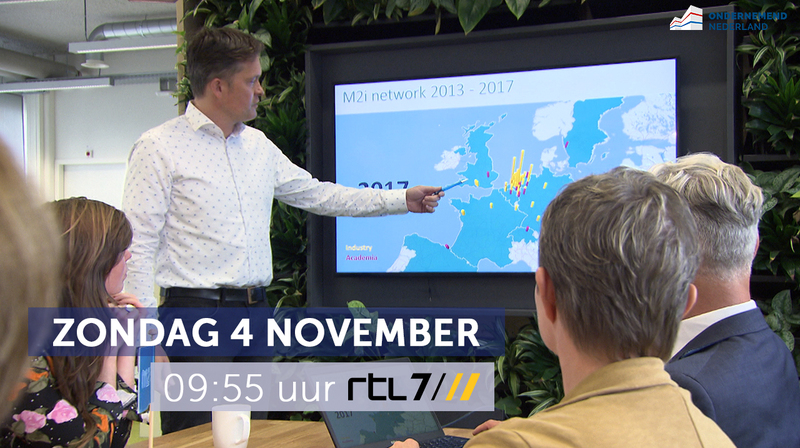 M2i connects industry, academia and research institutes across The Netherlands and Europe. Materials form the basis of our environment. Since the dawn of humankind, new uses of materials have driven societal development. Materials innovation is important in fostering technological growth that promotes the wellbeing of society, and also in being able to meet the challenges of enhancing and protecting our environment. As a network organization, we have excellent insight in materials-related activities in The Netherlands and Europe. We collect research questions from our industrial partners and connect them to the research partners with the right expertise. M2i helps its partners in defining open innovation research programmes. A significant portion of our projects are organized in cooperation with NWO and industry. By sourcing the optimal type of Dutch or European funding we help to reduce industrial investment costs. After approval of funding we coordinate the consortia, ensuring the results are relevant for industrial uptake, while offering researchers a platform for sharing their activities in cluster meetings and conferences. Read more about our cluster structure. 9/10 December 2019 – Meeting Materials Save the Date!